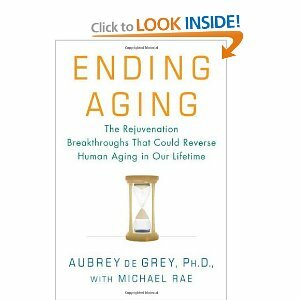 A while back, when I was living on a windswept island off the coast of Nagasaki, I listened to this segment of one of my favorite PRI shows, To The Best of Our Knowledge, and was introduced to the work of Aubrey de Grey. He is considered a maverick scientist who believes that we can and will regenerate our cells and avoid death all together. It is fascinating stuff and just the possibilities of his theory planted the seed for 'Timeless'. I started thinking about immortality and what we would do if we didn't have the threat of death always looming. I could frame it easily based on what we do now with our lives that have been drastically extended in recent generations by medical advances. Being a Buddhist, I dwell on the concept of death quite a bit but if the fact of our mortality was taken off the table, what would we do with ourselves? So you see in book one of this series, readers are afforded a glimpse into the rather mundane lives of three longlife women. Longlife bodies never change after they reach their prime around 30. So imagine how hard it is for someone to run into their ex, or to live with a husband who has changed though he still looks the same as when you first met him. Imagine getting bored of yourself and your life and having little relief from that oppressive dissatisfaction. So my characters pass their days quietly, baking desserts, eavesdropping on shortlifes, trying to forget a past that is always present. The women, Zoe, Rebecca/Cassy, and Ruth, in book one are a true contrast from their male counterparts, who seem to deliberately make their lives and others' lives difficult so that there can be a sense of purpose. At the end of book one, the men intrude and interrupt the women's quiet lives. We can suspect that the women will no longer have the option to be excluded from the political activities of the men and, as they are pulled deeper into the fray, we will see what a twisted world the men have crafted for themselves which involves manipulating shortlife affairs to their advantage. I pushed this story to the top of my pile after thinking that it connects neatly to two current concerns: immortality (via vampires but still) and political/corporate corruption (I've been greatly inspired recently by the Occupy Wall Street movement). I decided that Amazon was the best way to publish it so that people living today would benefit from another fictional filter to help them decipher their world. Anyway, I know it is hard to see the plot so clearly in the drafts so far. That will change when switch from creator to editor. But until then, I thought I would give you, my loyal readers, a little insight into what I am about here.